The website for football culture. It's no major feat to continue a magazine online. 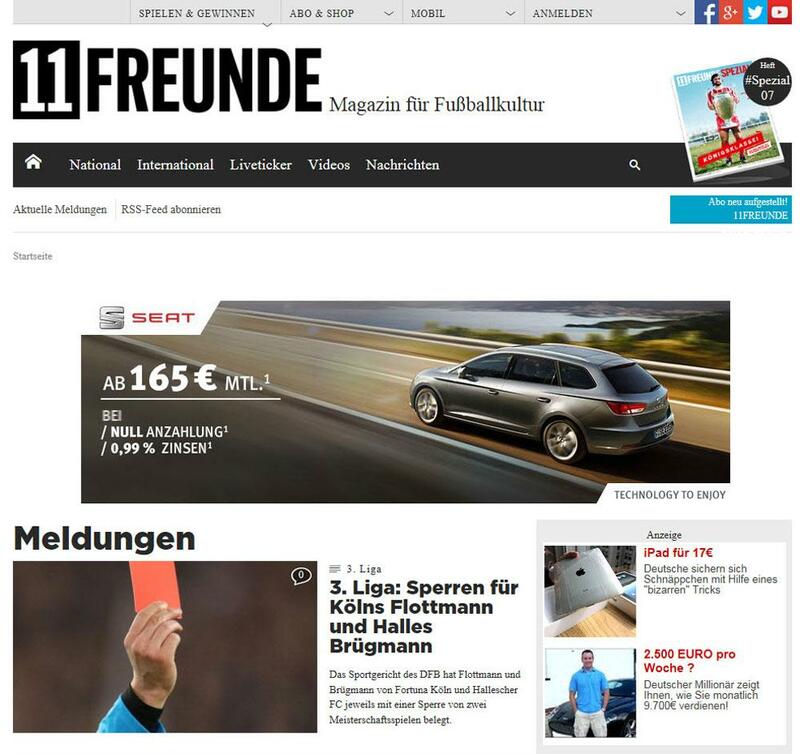 But successfully presenting a magazine on practically all digital channels and snatching up key prizes in the process is only something 11FREUNDE can do on www.11FREUNDE.de. 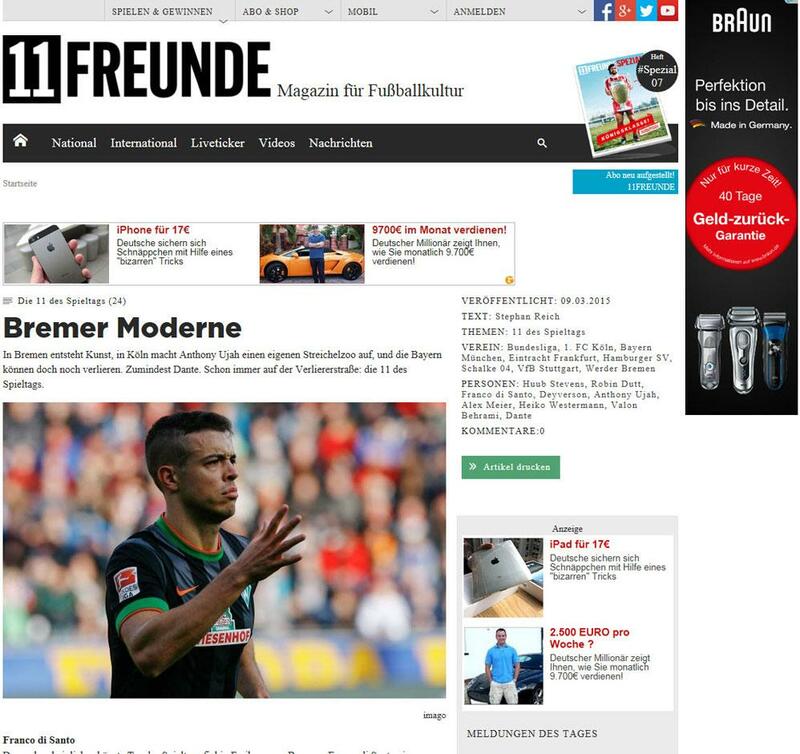 The 11FREUNDE Liveticker seems to have captured the enthusiasm of both readers and journalists alike. 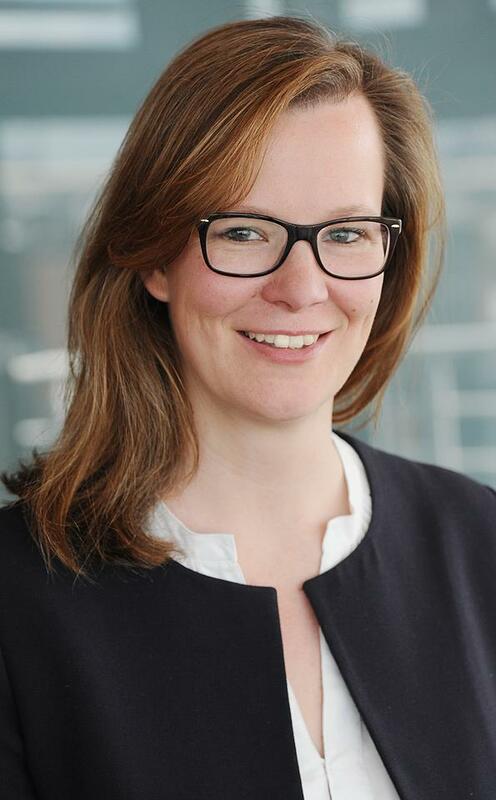 After winning the 2010 Henri Nannen Prize, in 2013 the Liveticker was awarded the Grimme Online Award in the category "Culture and Entertainment". 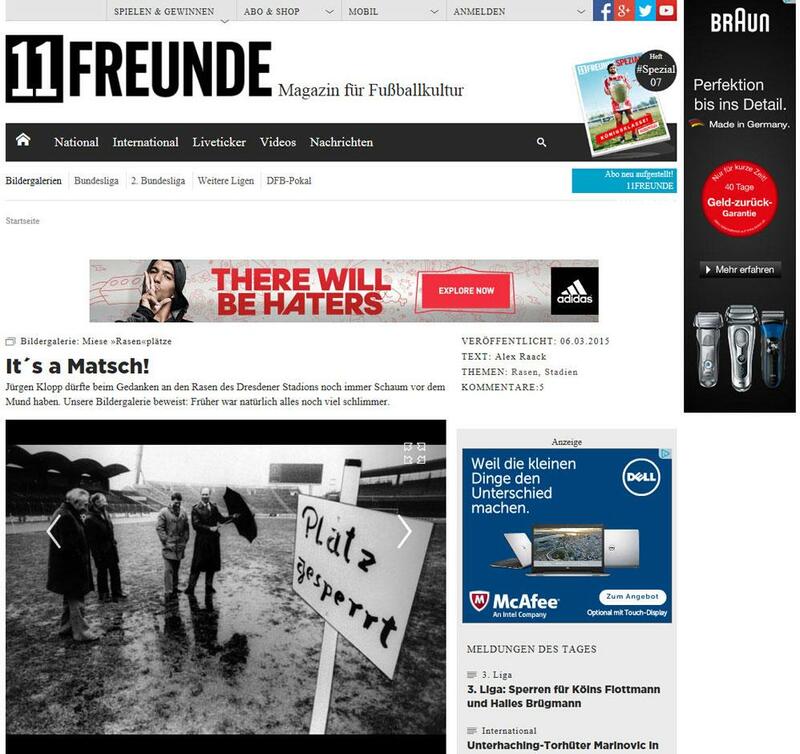 Excellent background information, shrewd observations and humour are what sets 11FREUNDE.de apart. 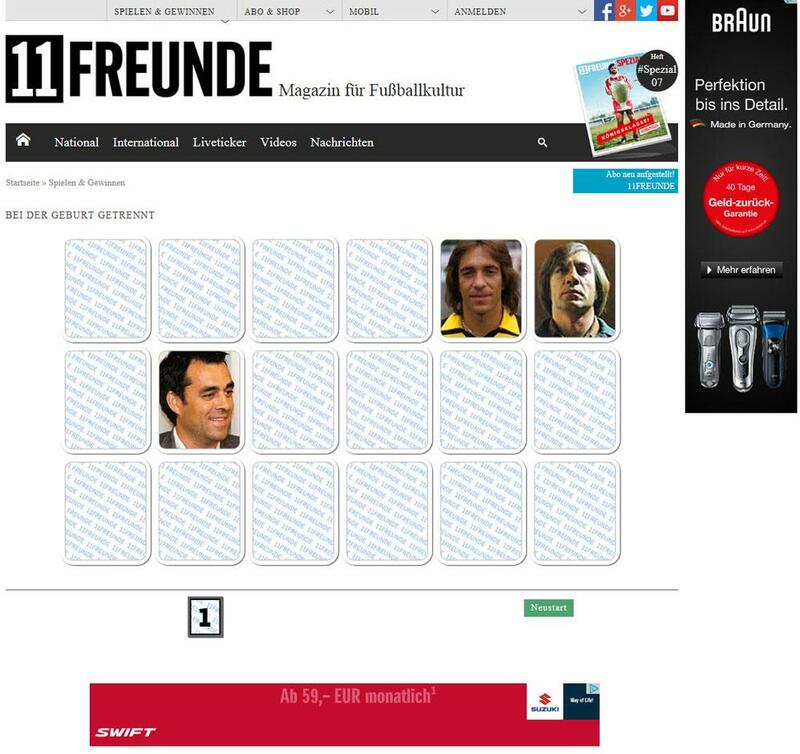 11FREUNDE.de covers both up-to-date topics and football history. Football culture away from the stadiums is just as important as what's happening on the pitch. 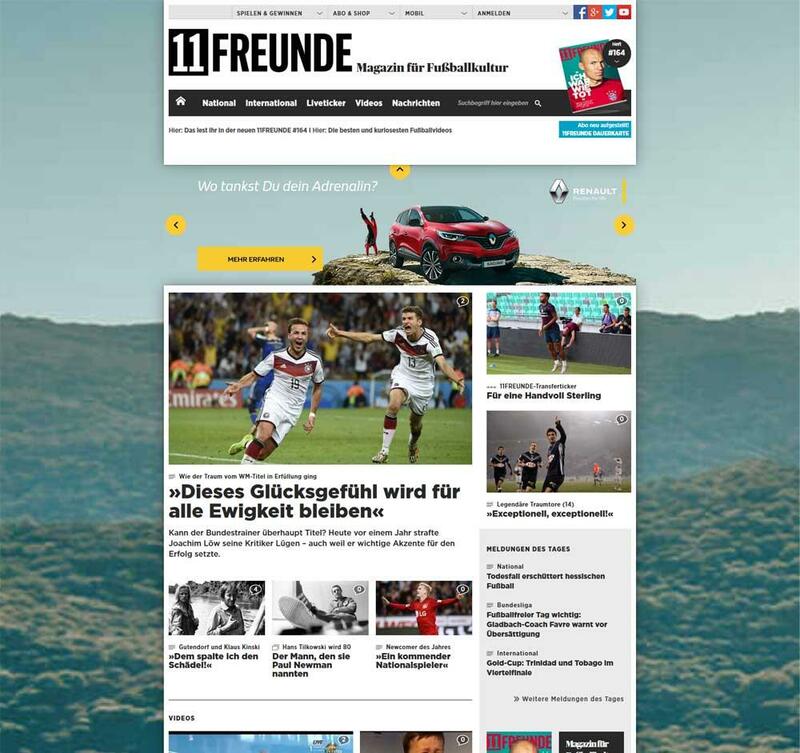 Apart from the Liveticker, 11FREUNDE.de has also introduced other successful formats, including its "Flimmerkiste" - one of Germany's most comprehensive collections of football videos. This also includes the "quick lists" - which combine specialist football knowledge with social phenomena.